Racing a triangular course out into the prevailing weather and back to the race base at Marine SLC, it was ability in the downwind conditions that settled the podium places. 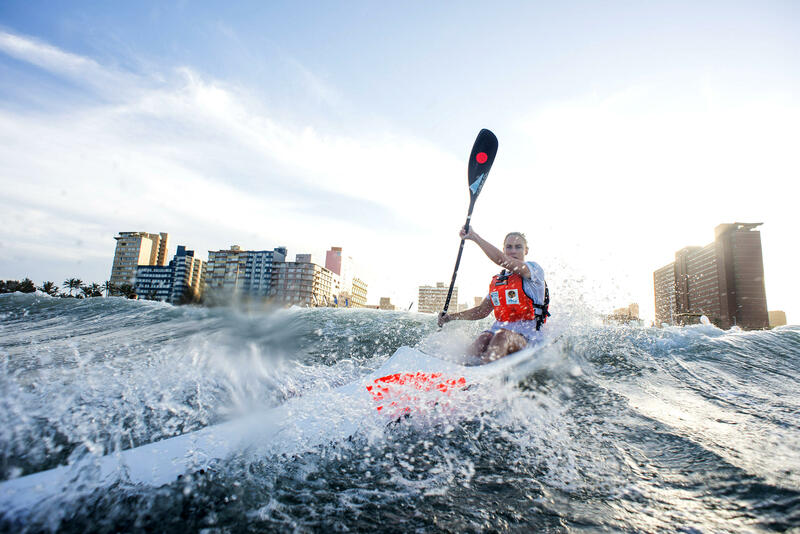 SMG/Epic Kayak's Matt Bouman had already wrapped up the overall series honours before taking his ski down to the water on Friday night, but revelled in the high standard of competition, and contextualised his win afterwards. 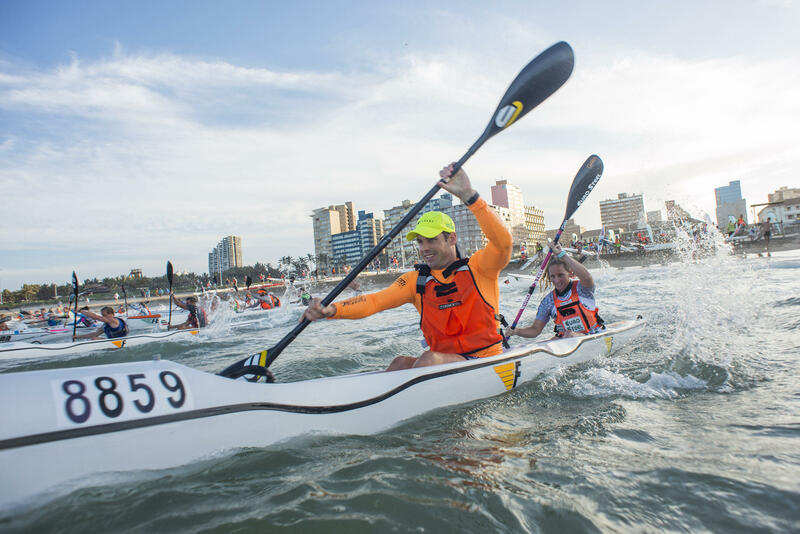 He had to work hard to keep series stalwarts Wade Krieger and Gene Prato at bay, and was quick to couch his win that extended his unassailable series lead by noting to absence of the Durban icon recently inducted into the World Paddle Awards Academy. "Look I am still missing Hank (McGregor). It's never the same racing without him, but the usual suspects Wade (Krieger and Gene (Prato) pushed me again tonight," said Bouman. He insisted that he pondered Pythagoras while on the triangular course, enjoying the different conditions presented by the ocean for the race. "It is just peaceful, and fun and just seems to heighten whatever the experience is," he added. 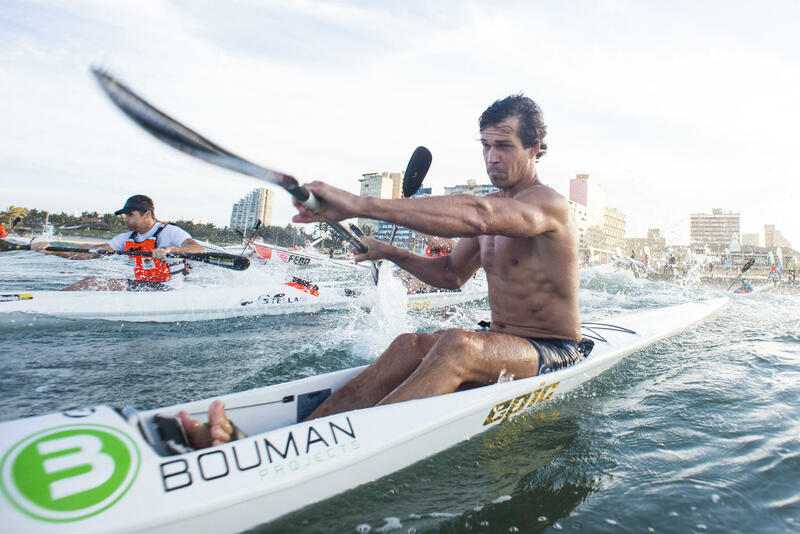 Bouman's purple patch in the FNB Surfski Series will be very satisfying for him, after enduring a frustrating 2017 in which he was dogged by a shoulder injury. The women's race was another keenly contested affair, with downwind ace Michelle Burn once again used her technical nous in the bumpy return leg to get away from Nicole Birkett, who is 23 weeks pregnant, on the homeward section back to Addington beach. "I can't believe how well Nix (Birkett) is going at the moment!" enthused Burn. "I was only able to get away from her on the downwind leg. "It was pretty hard work going into the wind," she added. 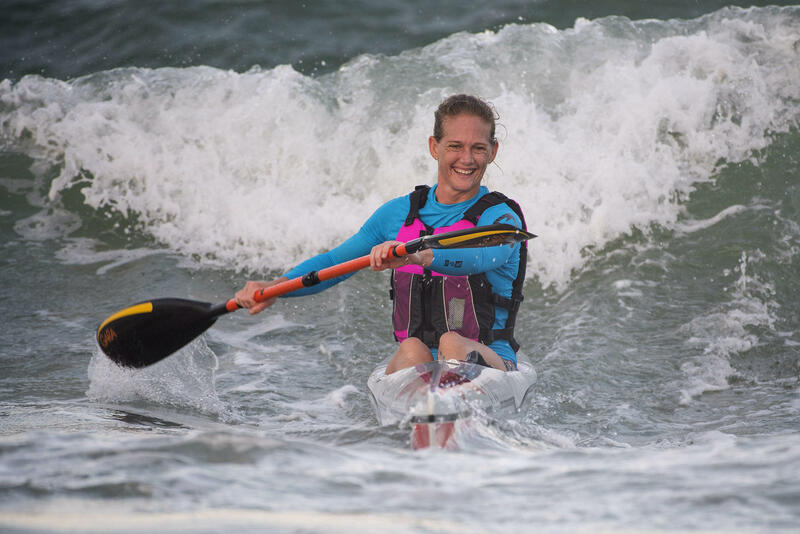 Jenna Ward opted to stay in the mixed double category where she has enjoyed success with Luke Nisbett, and repeated what they did last week by posting the fastest double ski time of the evening. The short Course was won by Sanele Nxumalo from junior Connor Botha and the double ski crew of Carmel Bilson and Paige Horn. 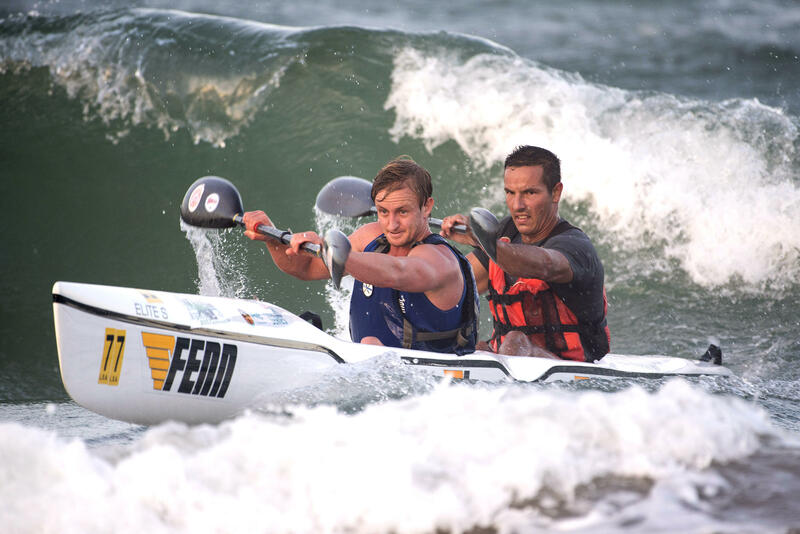 Race Nine, the HiQ Surfski Challenge, of the 2018 FNB Surfski Series takes place at Marine Surf Lifesaving Club on Friday, 9 March.